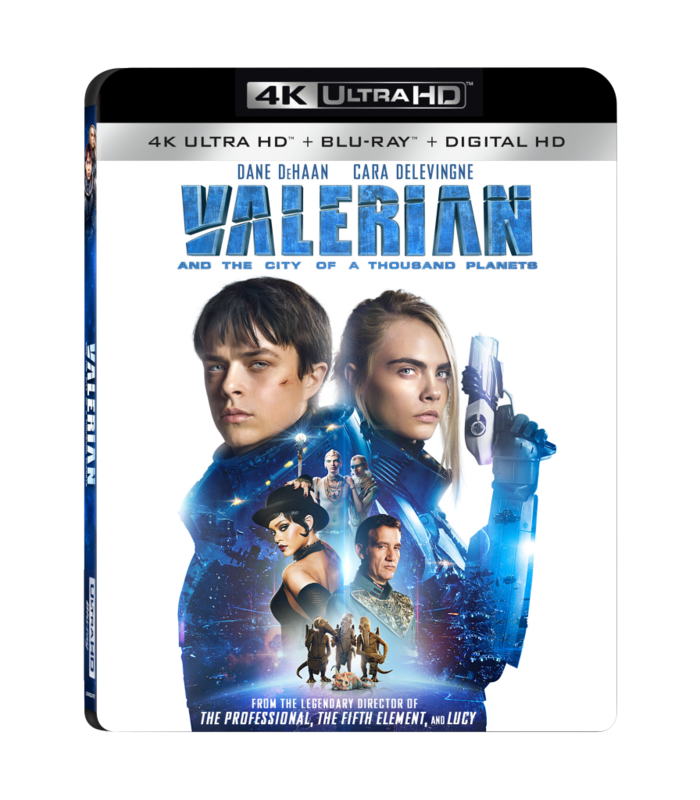 Luc Besson’s visually groundbreaking epic, ‘Valerian and the City of a Thousand Planets‘, arrives on 4K Ultra HD Combo Pack, Blu-ray Combo Pack and DVD on November 21. Digital HD Available on November 7, the 4K Ultra HD will include both Dolby Vision and Dolby Atmos. The Valerian and the City of a Thousand Planets home entertainment release features the five part documentary “Citizens of Imagination: Creating the Universe of Valerian” which delves into the creation of the characters in the film, including both humans and alien lifeforms, along with insight into the production design, special effects, and stunts. The home entertainment release also features a “The Art of Valerian” photo gallery, and Enhancement Pods. The 4K Ultra HD and Blu-ray versions feature Dolby Atmos audio remixed specifically for the home-theater environment, to place and move audio anywhere in the room, including overhead. The 4K Ultra HD Blu-ray also features Dolby Vision high dynamic range (HDR), growing Lionsgate’s library of titles featuring both Dolby Vision and Dolby Atmos. Dolby Vision transforms the TV experience in the home by delivering greater brightness and contrast, as well as a fuller palette of rich colors. Together with the captivating sound of Dolby Atmos, consumers will experience both cutting-edge imaging and state-of-the-art sound technology for a fully immersive entertainment experience. This entry was posted on Monday, September 18th, 2017 at 1:37 pm	and is filed under Comics, Film, News. You can follow any responses to this entry through the RSS 2.0 feed. You can skip to the end and leave a response. Pinging is currently not allowed. « Theatre Review: ‘Fun Home’!